Dental Website Videos – Dentists can insert videos into each of their dental websites by clicking “Insert Videos” underneath “Customize Portals” within the IDA New Patient Control Panel. Dental Website Video Gallery – With so much video content available online, more and more dentists are adding video to their dental websites. With the Internet Dental Alliance, dental practices can do it easily. You can add a Video Gallery page to your dental website. 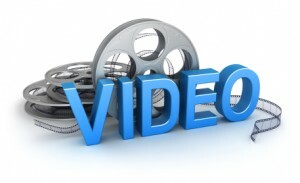 You can add your own videos to your website, or choose from IDA’s library of dental marketing videos. Dental Marketing With Facebook – It’s become increasingly common for dentists to use social media for dental marketing. A survey by The Wealthy Dentist showed that half of dentists have Facebook accounts for their dental practices. The newest addition to our design library is the “Engage” series. In the "Portal Design" section underneath "Customize Portals," you can use the drop-down “Filter” box to view particular designs. The “Engage” templates are striking designs that feature bold, rotating graphics and a simple, uncluttered layout. You can choose which set of colors best suit your practice. Blue is popular, but some people prefer black or green.